In just under a week, the spectacular opening ceremony of the annual carnival of colours and culture, described by the world’s media as the carnival of carnivals, will be launched next Friday, 25th April 2014, in the island’s capital – Victoria. This year’s event will include over twenty six international cultural groups from across Africa and the rest of the World. The Seychelles carnival is not only spectacular, but unique. It is the only carnival that brings together all the best and most known international carnival groups, parading together, alongside the cultural troupes from the community of nations of the Seychelles itself. The Seychelles minister of Tourism – Mr. Alain St. Ange, says that this year’s event will be attended by the Notting Hill Carnival of the UK, the Brazil Carnival, the Carnival of Trinidad and Tobago, the Dusseldorf Carnival from Germany, the Carnival from Indonesia and the Carnival from Italy. 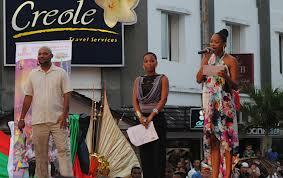 Also, the Seychelles 2014 will be hosting cultural troupes from La Reunion, Mayotte, Madagascar, South Africa KwaZulu Natal, Bhutan, Mozambique, Zambia, South Africa Cape Town (Minstrels), Kenya, China, USA of America, South Africa Pretoria, South Korea, DerTour of Germany, the Sami People of Sweden, India, Bangladesh, and many others. 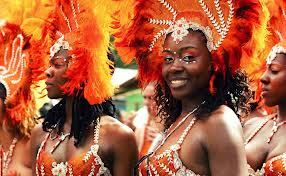 Visitors to the Seychelles 2014 will be thrilled by the explosion of diverse colours, sounds, and dance, bringing together people from across the globe. Tourism minister Alain says that this spectacular and unique event is worth talking about. “The event goes beyond politics, religion and the colour of the skin. The 2014 Carnaval International de Victoria of the Seychelles is being jointly co-hosted by Seychelles, La Reunion, Madagascar, Mayotte and South Africa KwaZulu Natal. “The Seychelles is a rich melting pot of peoples from the four corners of the planet, and Seychelles 2014 is set to become the stage for representatives of the world’s most prestigious carnivals,” says tourism minister Alain. 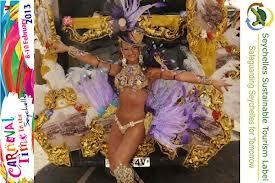 The Seychelles International Carnival of Victoria will be held over a three-day period, starting 25th April 2014. Promising to be the focus of international as well as local attention, the Seychelles International Carnival of Victoria will feature a procession of colourful floats, representing the various participants’ national carnivals, as well as a raft of other dedicated activities all of which will fall under the carnival’s theme. Widespread international press coverage is expected for this colourful event which is sure to be a crowd-pleaser, as it brings the lively ambiance of international carnival to the islands. The Seychelles Tourism Board (STB), is a public and private sector partnership, headed by its CEO – Ms. Sherin Naiken, with Mr. Barry Faure as Chairman. 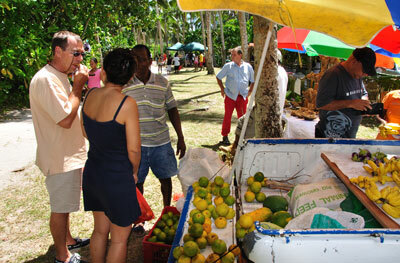 It oversees most aspects of Seychelles’ tourism industry, and is accountable to Minister Alain St. Ange. The Seychelles Tourism Board is responsible for implementing Seychelles’ national tourism policy, promoting the destination, research, product development, monitoring of standards and coordinating with its tourism offices, representative agencies and Seychelles Tourism Ambassadors abroad. STB has representation in the United Kingdom, France, Germany, Italy and Spain as well as offices in South Africa, the Middle East and Asia, handling enquiries from customers, the travel trade and media from the USA, Canada and other regions of the world – currently not covered by its overseas offices and representatives. STB is further charged with overseeing the activities of the Seychelles Tourism Academy, the institution responsible for the training of Seychellois students for careers in the tourism sector. STB deals with visitor complaints and staffs visitor information offices on the principal islands while initiating and coordinating local activities and programs to add value to visitors’ stay while in Seychelles.